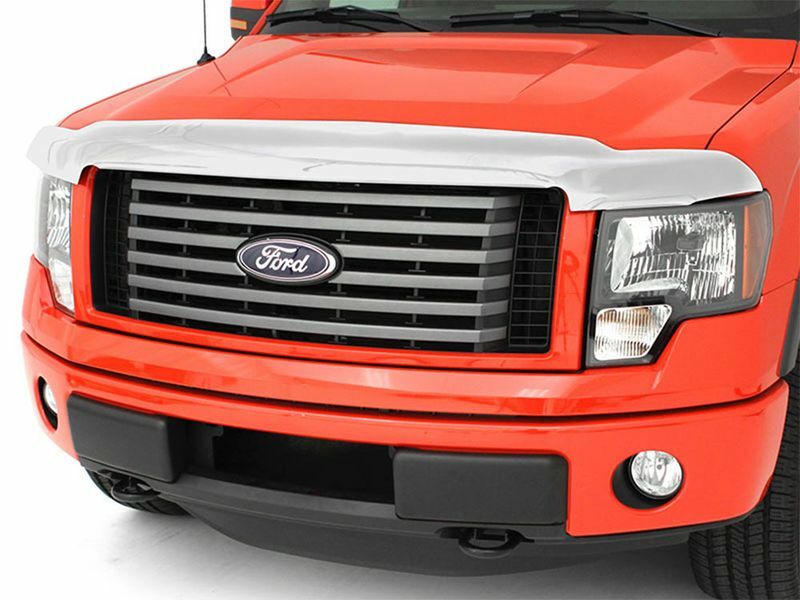 Auto Ventshade acrylic chrome bug deflector is the perfect way to accent your truck or SUV while also protecting it from insects and flying debris while you're traveling down the highways and byways of our great country. The wrap around design and full height gives the AVS chrome hood shield maximum protection for both your windshield and your hood. It's great for paint chip prevention as well as long term damage to your truck's glass. Chrome bug shields are made to not only deflect moths, mosquitos, and other flying pests away from your vehicle's hood, it also acts as a mini wind vortex. By creating a small updraft, many of the lighter bugs and small grit rides up and over your vehicle at higher speeds. Science is the secret behind AVS chrome hood shields. The surprisingly thick quality of the chrome plated ABS acrylic on these AVS chrome hood shields make them corrosion and discoloration resistant. To stand by their word, you get AVS's lifetime warranty. Mounting them on your hood is a do-it-yourself venture. No drilling is required on most make and model applications and all mounting hardware is included with your order. Cleaning is also simple due to the unique design. 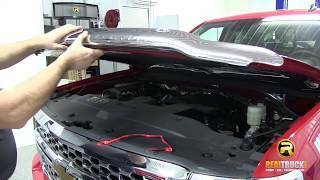 All AVS chrome hood deflectors are mounted away from your vehicle so you don't have long term dirt, grit, and bug gut build up. So get to matching up your vehicle's outstanding chrome trim with a superior chrome-plated bug shield product from AVS. All chrome bug shields are custom design to mold to your vehicle's specifications. All AVS products carry a limited lifetime warranty. Easily install the AVS chrome bug deflector without any cutting or drilling.